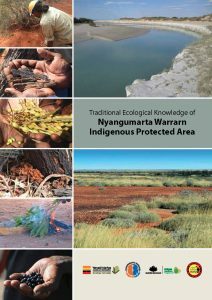 With the support of YMAC, the Australian Government’s National Landcare Program, and the Indigenous Protected Areas Program, the Nyangumarta Warrarn Aboriginal Corporation has published a compilation of Traditional Ecological Knowledge (TEK) of the Nyangumarta Warrarn Indigenous Protected Area (IPA). The booklet is a collection of ethno-botanical information passed down through generations of Nyangumarta people. More than 80 plants were collected, and descriptions of 70 species appear in the book. The data was collected during two surveys of Nyangumarta country in 2014 and 2015. A copy of the booklet can be obtained through Nyangumarta Warrarn Aboriginal Corporation, and digital copies of the booklet can be downloaded from the YMAC website here. The Australian Government is seeking your views on the design and delivery of the Regional Stream of the National Landcare Programme. Click here to take the survey and read the consultation paper that provides an overview of the National Landcare Programme. The consultation paper will help inform your response to specific questions in the online survey. The survey will be open until 8pm 29 August 2014.